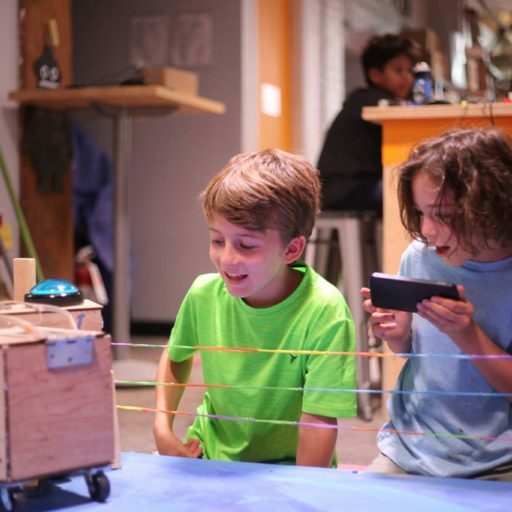 When school is out for the summer, STEAMLabs offers weekly maker camps to engage kids and teens in a fun summer full of making! We have weeklong camps running every week in July and August for two whole months of fun at multiple Toronto locations. Sign up for a one week camp or multiple weeks! Spend two full weeks (or more) at any camp to extend and enrich your camp and learning experience – expand on projects, build more things with new friends, and have even more opportunities for back to back learning and fun! Simply sign up for the camp theme you are interested in and the number of weeks you’d like to join us for, then specify your skill level at check out and a unique program will be created for kids signing up for multiple weeks. We also offer a special deal for those signing up for two-week camps. We’ve got four different camp themes to choose from including: Robotics camp, Minecraft Pro camp, Video Game Programming camp, and Tech Powered by Girls camp. All of our educators and mentors have completed STEAMLabs Maker Educator programs and are highly skilled in working with the latest technology and creating spaces for our participants to explore, learn and understand technology. By understanding technology, kids learn to understand our world and their power in it. Summer camps will run every week in July & August. The Maker Bean Cafe’s at 1052 Bloor St. West. Robotics kits are optional but highly recommended, as kids love to take home their fully functioning creations at the end and can be used for future STEAMLabs programs! Just add the Robotics Kit as an extra at check out. SAVE $80 when you sign up before April 1st, 2019. Savings will be applied automatically at check out. Save $50 for each additional child attending camp. First child pays full price and each additional sibling saves $50 per session. Peanut-free snacks and meals can be added to any camp at check out, available for $75 per week. Please add the lunch add-on at check out. Click to register at the Maker Bean Cafe! Click to register at the Toronto Tool Library! Available at the Maker Bean Cafe, and Toronto Tool Library! Ever wanted to build your own robot? Now is your chance! At our Robotics Summer Camp, we’ll design games as a group and then build our very own robots to compete in the games at the end of camp. There will be opportunities for success and celebration for all participants and their robots [read more here]. 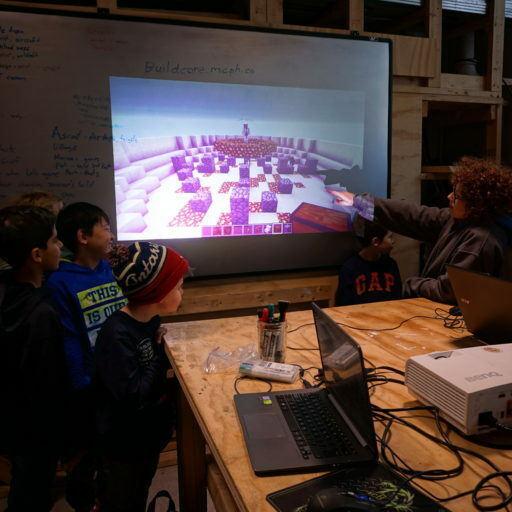 Minecraft Pro For Kids uses your child’s already established enthusiasm for Minecraft to extend their creative, collaborative, and problem solving skills. Participants will work alongside mentors to design worlds, build projects and install mods. The focus of the camp is on learning and building, but there will be time set aside to play as well! [read more here]. Exclusively available at the Maker Bean Cafe! Toronto! One of the most beautiful and culturally diverse cities in the world. 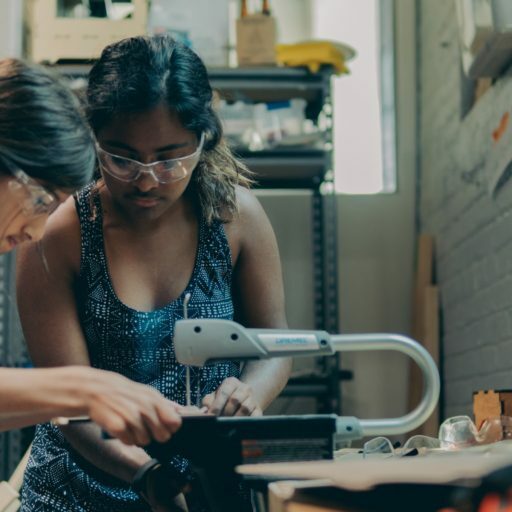 In this program, girls will learn all about architecture and installation design to reimagine, remix, and recreate green spaces and concrete landscapes in some of Toronto’s most interesting neighbourhoods [read more here]. Available at the Toronto Tool Library only! Click on the sign up button on this page > you will be directed to our registration page. Create an account for your family and add your campers to the profile. Once created, you will use this account to register for programs and view what you have signed up for. Once signed up, you will be taken to the Parent Dashboard. On the left side of the page, click Enrollment and select the camper you would like to enroll. Select the program(s) you would like to enroll your camper in. Follow prompts to add on extras like before/after care & lunches, complete forms and process payment. Repeat for additional campers. Click on the sign up button on this page > you will be directed to our registration page. Sign in using your exiting STEAMLabs account. Once signed in, you will be taken to the Parent Dashboard. On the left side of the page, click Enrollment and select the camper you would like to enroll. HOW DO MULTI-WEEK CAMPS WORK? If you sign up for two weeks (or even for EVERY WEEK of the SUMMER!) – don’t worry, the second week won’t just be a repeat of the first week, kids will continue to learn and create. If you are signing up for just one week at any time in the summer, and it’s your first time, don’t worry kids won’t jump into the middle of an activity. Select the program(s) you would like to enroll your camper in through our enrollment portal. Follow prompts to add on extras like before/after care & lunches, complete forms and process payment.